So to see if any of these coffees are actually good to the last drop, we asked Lorenzo Perkins, certified coffee instructor at Cuvée and executive council member of the Barista Guild of America, to put five of the biggest coffee brands through the same rigorous blind-tasting process that his roasting company applies to their own beans. "This is actually something I think all my colleagues should do. 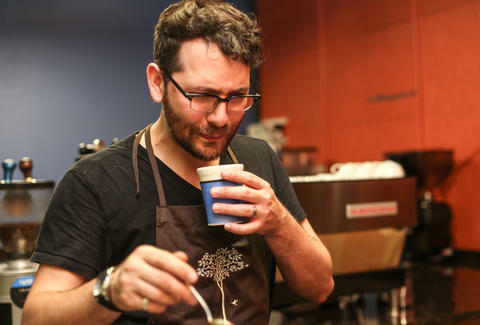 When you're only drinking specialty coffee, you lose that global perspective." 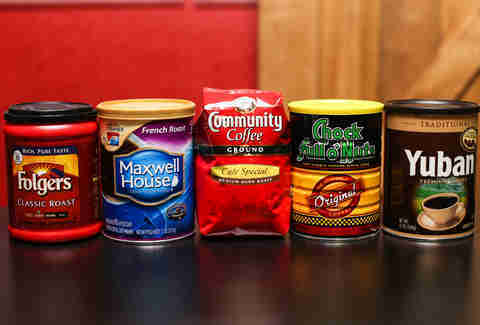 We pillaged the grocery coffee aisle and came away with five contenders: Folgers Classic Roast, Maxwell House French Roast, Chock full o'Nuts Original, Community Coffee Cafe Special, and Yuban. 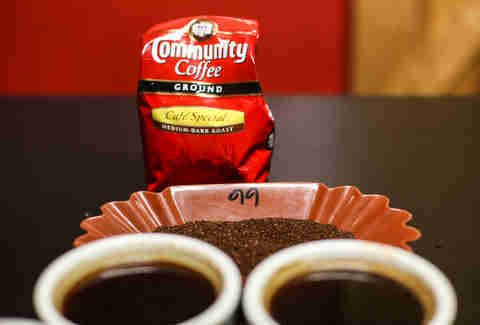 Although the Maxwell House and Community beans aren't their original roast, we ran the grounds through a spectrophotometer to measure the roast level, and Lorenzo assured us that there wasn't enough deviation to cry apples-to-oranges. "It tastes like unhappy children." Coffee testing ("cupping") is an exhausting process. 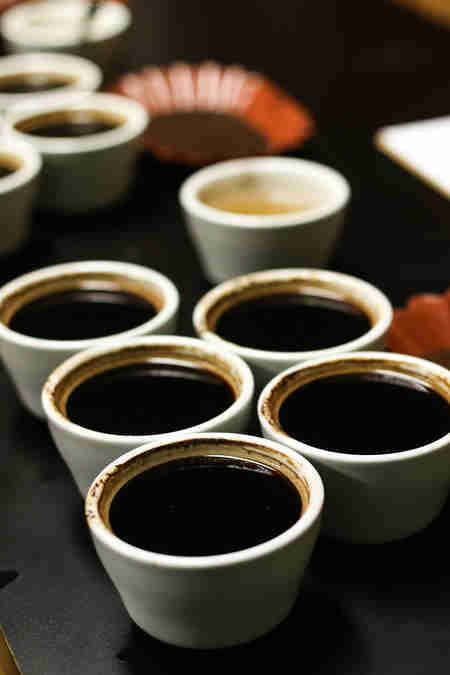 Using a direct pour-over method, five cups of each roast are brewed in order to account for irregularities within a batch of beans. 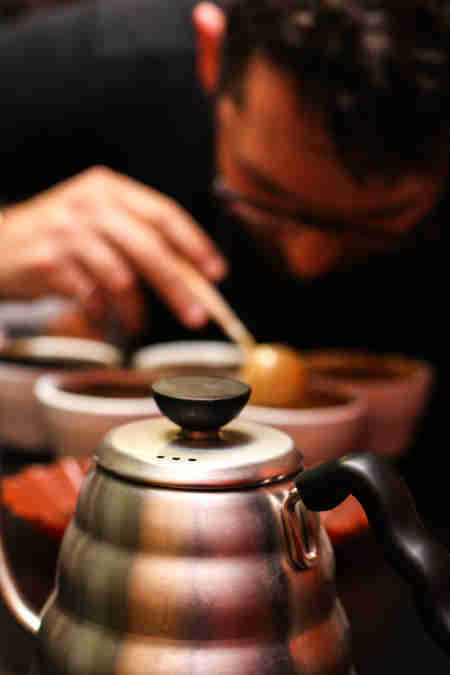 Once the cups have had time to brew, the taster breaks the foamy head on the top of each cup with a spoon and takes a deep whiff to judge aromas. 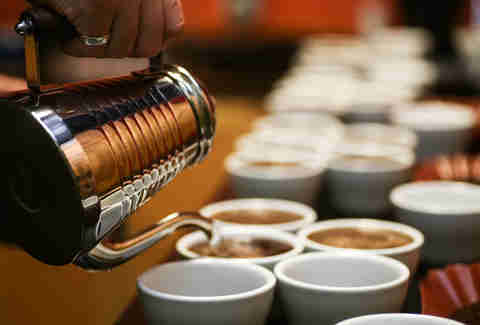 Then the grounds are sifted and the coffee is tasted while hot, lukewarm, and cold. 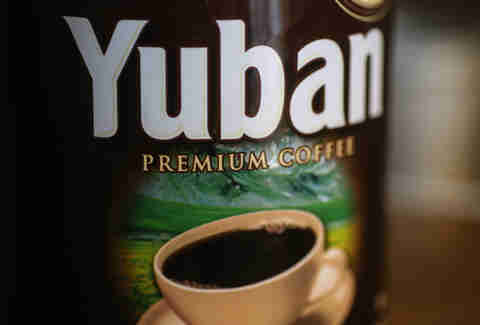 Warmth may mask the fouler flavors, but like Shakira's hips, cold coffee doesn't lie. 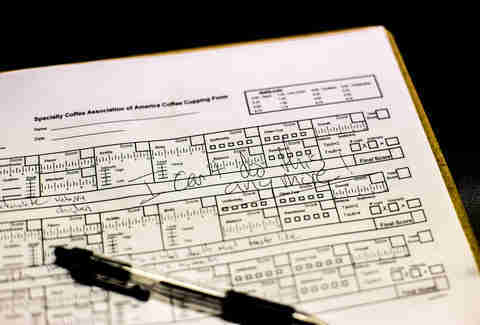 Lorenzo went into this tasting intending to give official scores on the Specialty Coffee Association of America Coffee Cupping Form (the SCAoACCF, for "short"), but the scoring sheet quickly went out the window. These coffees were truly off the charts. "This tastes better than it smells. 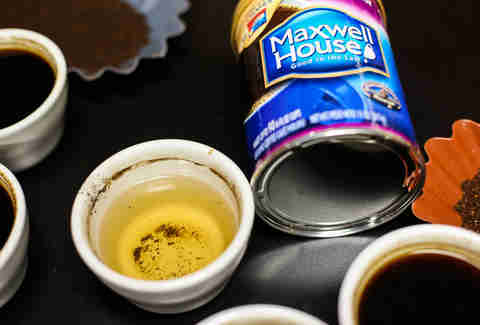 It's a close call with Maxwell House, but this edged it out because I can actually swallow it. Bonus points for pleasant graphic design." 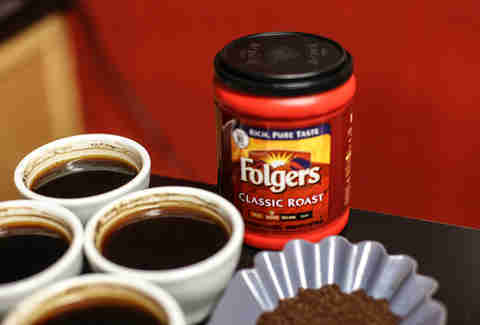 "It tastes as if someone sprayed coffee flavor onto coffee beans." "It's savory, kind of like you're eating wild boar meat that's about to turn. That said, this isn't that bad. I wouldn't return it if I was eating in a Denny's." "That's coffee! 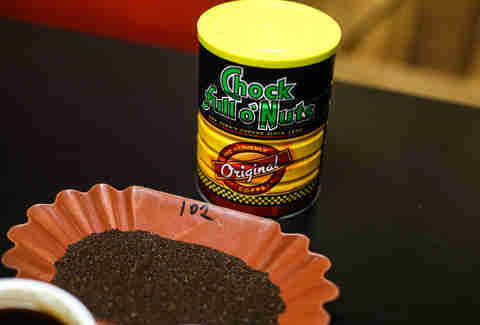 This could pass for a low-grade specialty coffee." After the relentless tasting, Lorenzo poured himself a cup of Cuvée that he'd brewed several hours prior. He originally considered the batch foul by his normal standards, but after a few hours of cupping the big brands it took on an entirely new character: it was suddenly really, really good. Although Lorenzo literally gagged several times during the test, and the rest of the staff remarked that the roastery smelled like a sewer lit on fire, by the end of the day he conceded that both Chock full 'oNuts and Community Coffee were not as gross as he expected and are actually deserving of some respect. 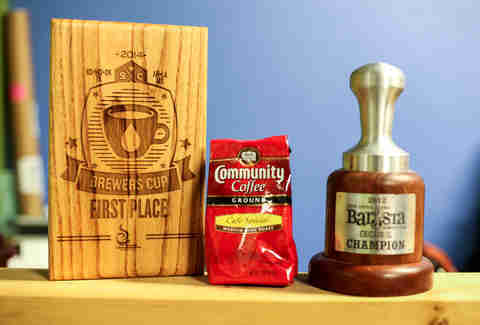 The other grounds confirmed that most of the titans of first-wave coffee are truly washed up. Dan Gentile is a staff writer on Thrillist's National Food and Drink team. He firmly believes the best part of waking up is not having to drink any of these coffees. Follow him to relentless praise for the AeroPress at @Dannosphere.